Otto “Stotto” Stammberger was born on 20 February 1920 at Michelau in Oberfranken. He joined the Luftwaffe on 1 September 1939. 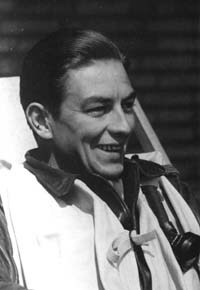 Stammberger undertook his initial flying training at Breslau before attending Jagdfliegerschule 5, based at Vienna, in September 1940. Stammberger joined JG 26, based on the Channel front, following operational training in the Ergänzungsstaffel/JG 26, on 28 February 1941. Leutnant Stammberger was assigned to 9./JG 26. He recorded his first victory on 19 August 1942, almost 18 months after joining JG 26, when he shot down a RAF Spitfire fighter over the Allied operation at Dieppe.  On 28 February 1943, Oberleutnant Stammberger was appointed Staffelkapitän of 4./JG 26. On 13 May, Spitfires shot him down near St Omer. He baled out of Fw 190 A-4 (WNr 739) “White 9”, but his parachute only partially opened. He was knocked unconscious on contact with the ground. He recovered consciousness 10 days later in St Omer Hospital. In addition to concussion, he had suffered burns. Stammberger returned to JG 26 in October, but was not permitted to fly combat. Stammberger was transferred to 2./JGr West based at Biaritz in France. On 31 December 1943, Stammberger was credited with a USAAF B-17 four-engine bomber shot down near Bergerac. However, he was shot down, baling out with minor injuries. This was Stammberger’s seventh, and last, victory. On 24 January 1944, he was scrambled from his airfield at Bergerac to intercept a reported bombing raid. However, immediately after take-off, his engine failed and he crash-landed suffering further injuries. He was withdrawn from combat duty and spent the remainder of the war serving in staff roles with JG 26. Post war, Stammberger became the manager of a large department store. He passed away on 11 July 2001, aged 81. “Stotto” Stammberger recorded seven victories in 104 missions. In addition he claimed three victories for which confirmation was not forthcoming. All his victories were recorded over the Western front and included five four-engine bombers. He claimed an additional four-engine bomber unconfirmed.